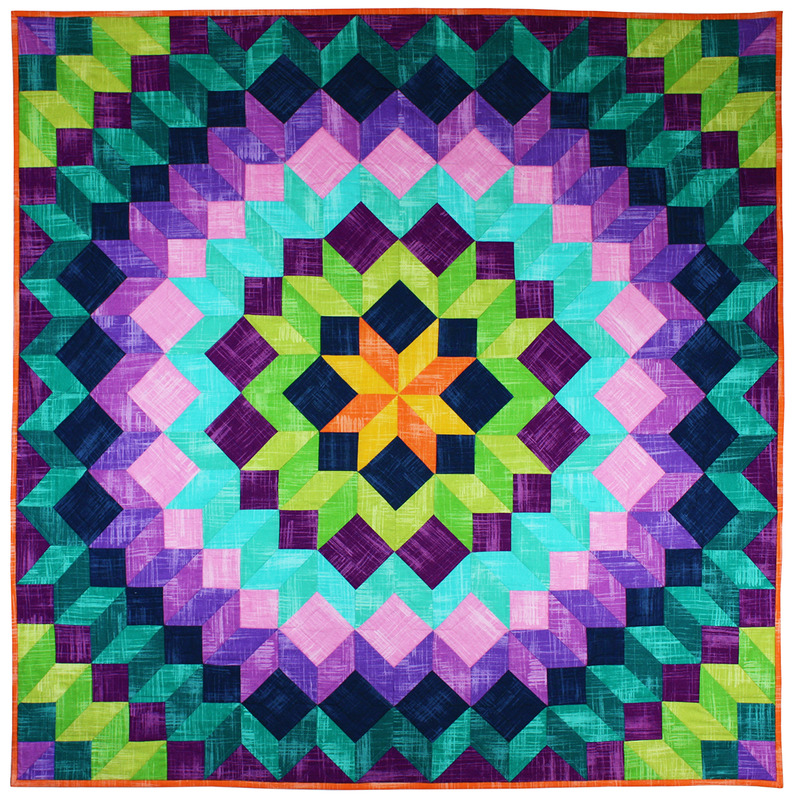 Karlyn Bue Lohrenz of Montana started taking quilt classes as a way of coping with the stages of grief after her sixteen year old daughter tragically lost her life in a car accident in 1989. 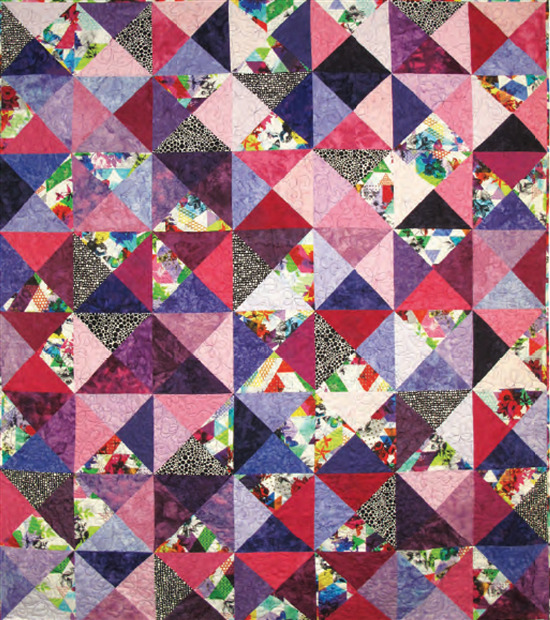 As her success grew, she was invited to display her work in the "Rising Stars" exhibit at the 2017 Houston International Quilt Festival. 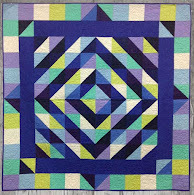 We greatly admire Karlyn's fantastic work, so we'd like to share it with you ! 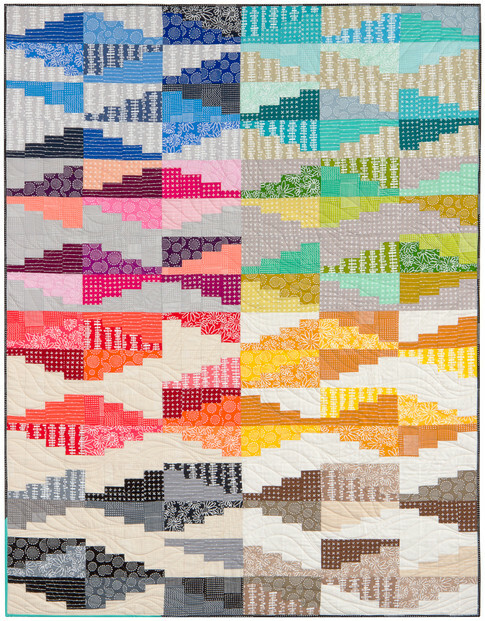 Karlyn's inspiration for this amazing contemporary art quilt was a photo of a water fountain. 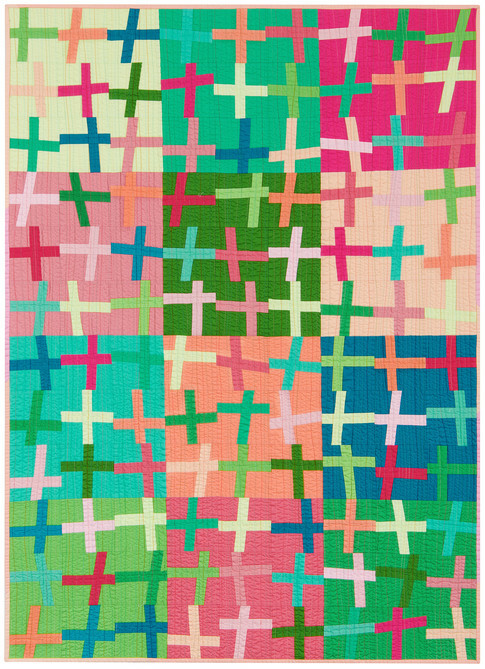 She says, "Fiberart is such a wonderful medium to use in creation. From vision to image, every step fuels creativity. 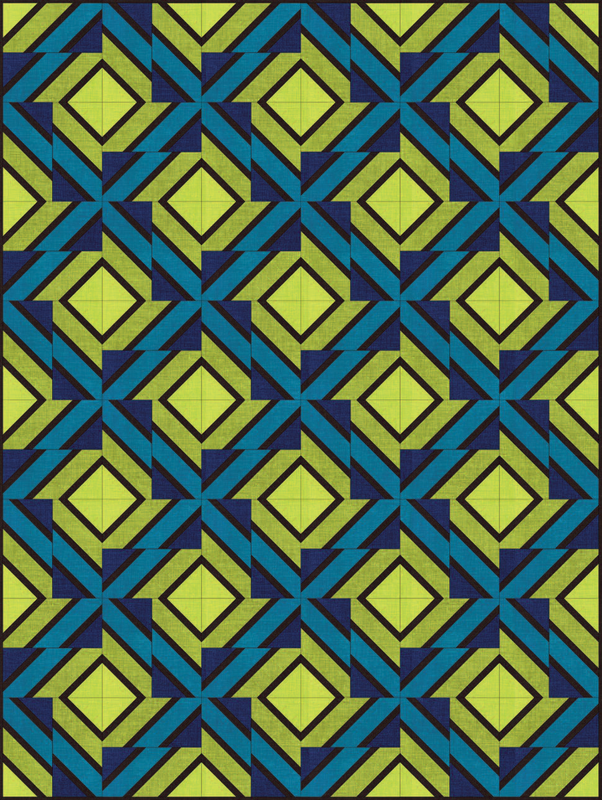 I challenged myself on working with gradation values in fabric, precision, shading, depth, and creativity in free-motion quilting. It is humbling to be part of the community who utilizes this medium. " 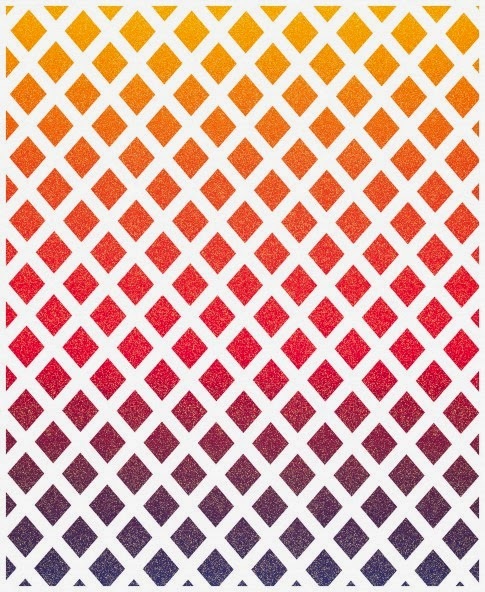 Rich, complementary color-saturated hues of purple, orange-yellow and apricot really bring out the sparkle in this pattern. 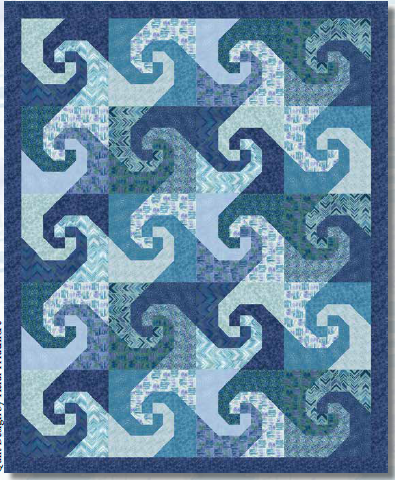 Calamari Time is machine pieced, appliqued, quilted, and trapuntoed. 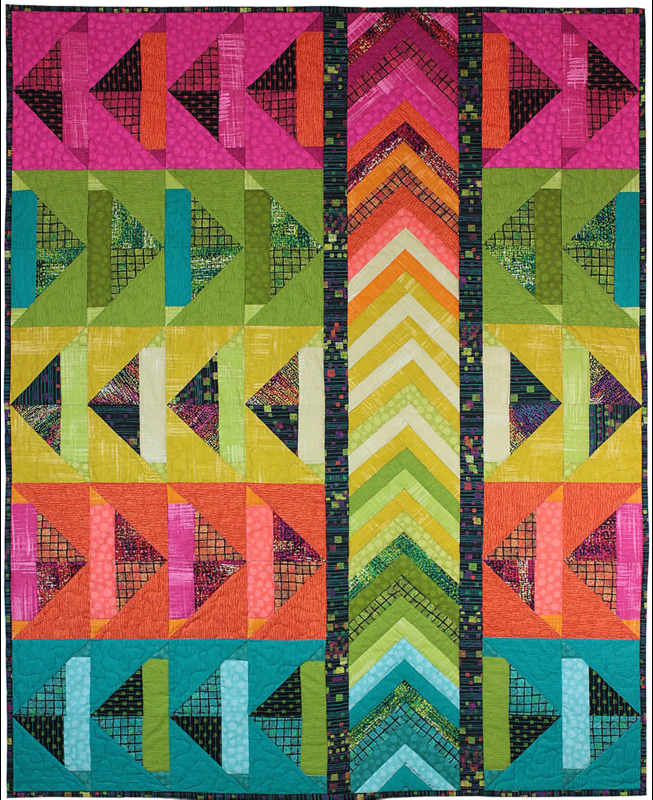 For this fabulous piece, Karlyn was inspired by the teachings of quilt artists Hollis Chatelain and Barbara Olson . Karlyn remarks, "I studied and explored the Royal White Bengal. The White Bengal is believed to have been extinct from the wild since 1958. 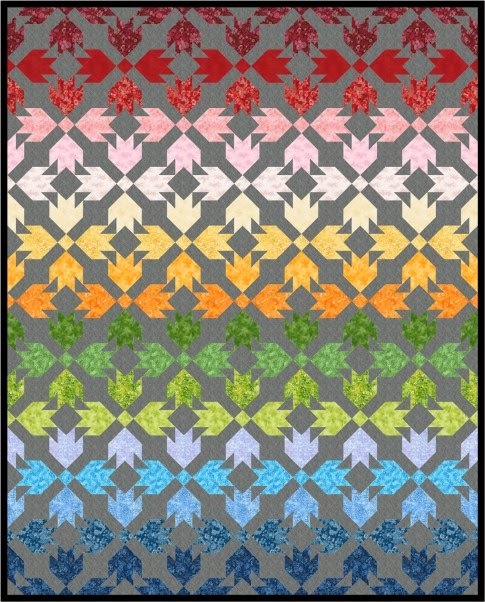 Less than 400 were in the captive world at the time I made this quilt. 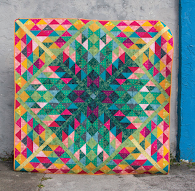 What fun it was to take this quilt from thought to reality." We were impressed by the amazing life-like markings on the tiger's face and its piercing eyes, which seem to follow the viewer's gaze. 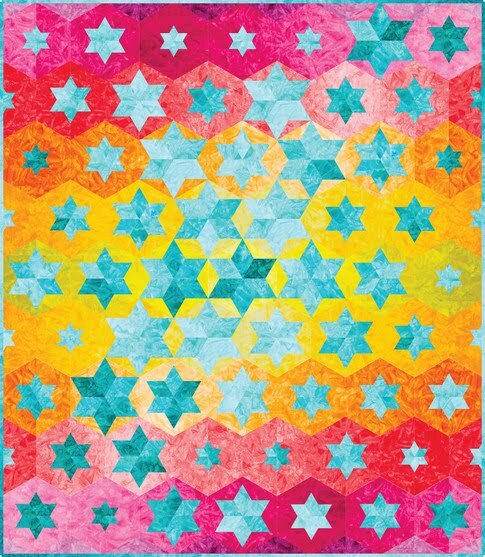 This stunning work is machine quilted and painted. 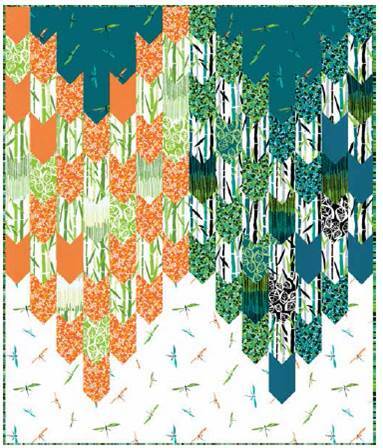 The design source for this vibrant work was photos of tiger lily flowers. Karlyn notes, "These beauties are in my flowerbeds every fall. We are so blessed to work in a medium where we can create these image that float in our heads.I tried to give them the attention they deserved. 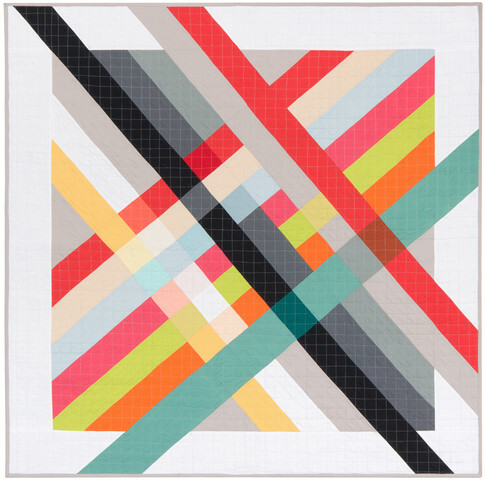 A quilt is complete when it is shared." 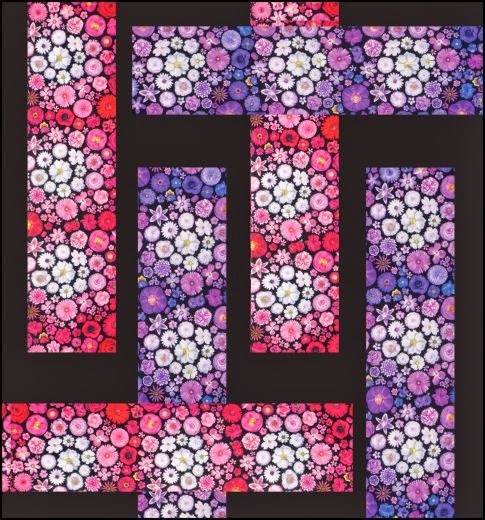 This beautiful threadwork replicates the tiny lines and veins in the flower petals which give them such a depth of color. 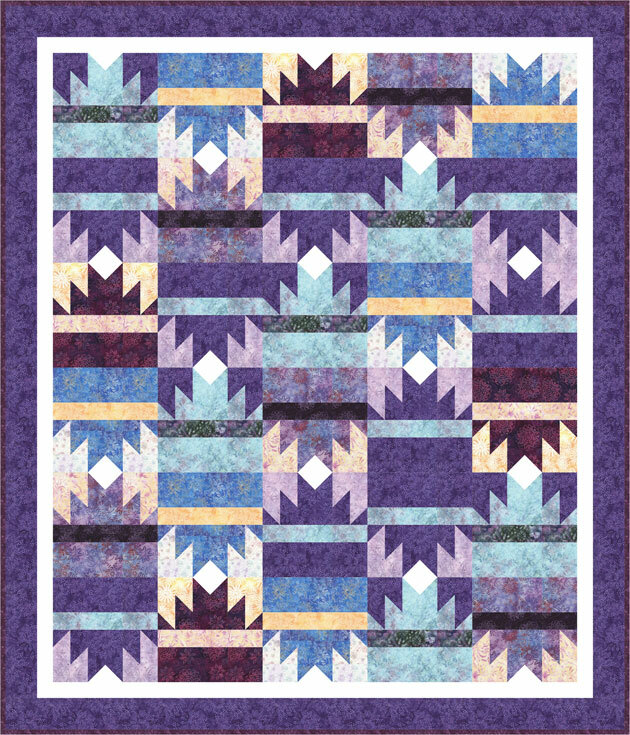 Montana Tigers is machine-pieced, appliqued, and quilted, plus trapuntoed. 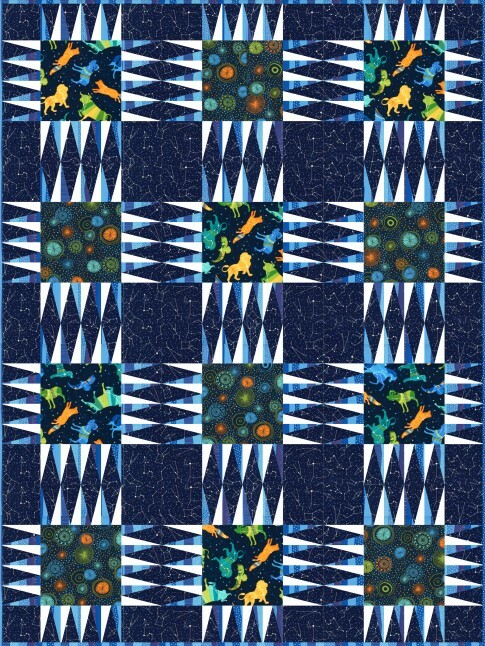 Karlyn's design source for this magical, imaginative quilt was the great story, "The Wizard of Oz" by L.Frank Baum. 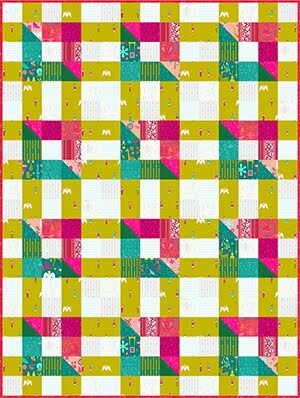 She states, "This was a challenge that tried my patience, tested, my discipline, and stirred up pleasant memories from childhood. I hope my interpretation of the journey to the Emerald City sparks the enthusiasm of the child in all of us." 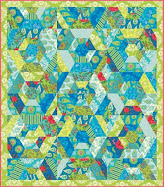 And of course, the adorable Toto is included, against a beautifully quilted background. 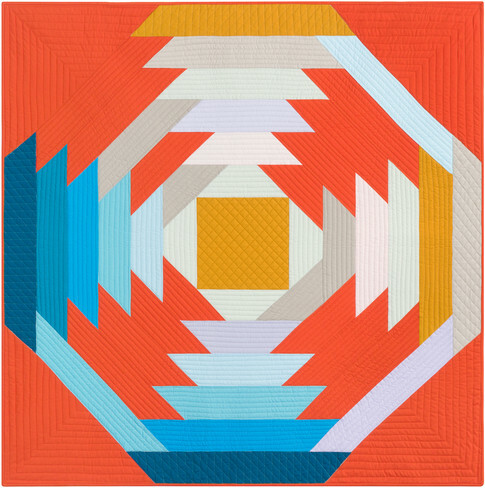 Karlyn's techniques include machine piecing, applique, quilting, and thread painting. 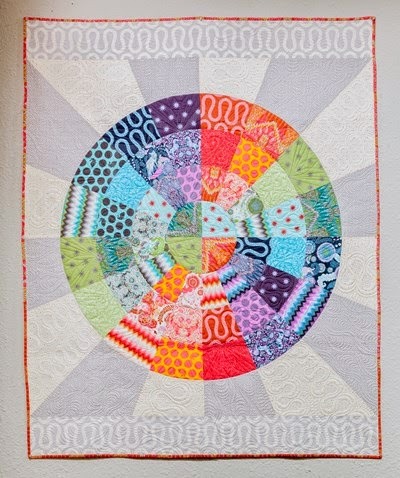 Karlyn's inspiration for this gorgeous quilt were circles and a path to and from Montana and Germany. Karlyn writes, "I watched my 17 year old granddaughter apply, interview, and accept a full ride scholarship to study abroad. We went through many emotions as a family. 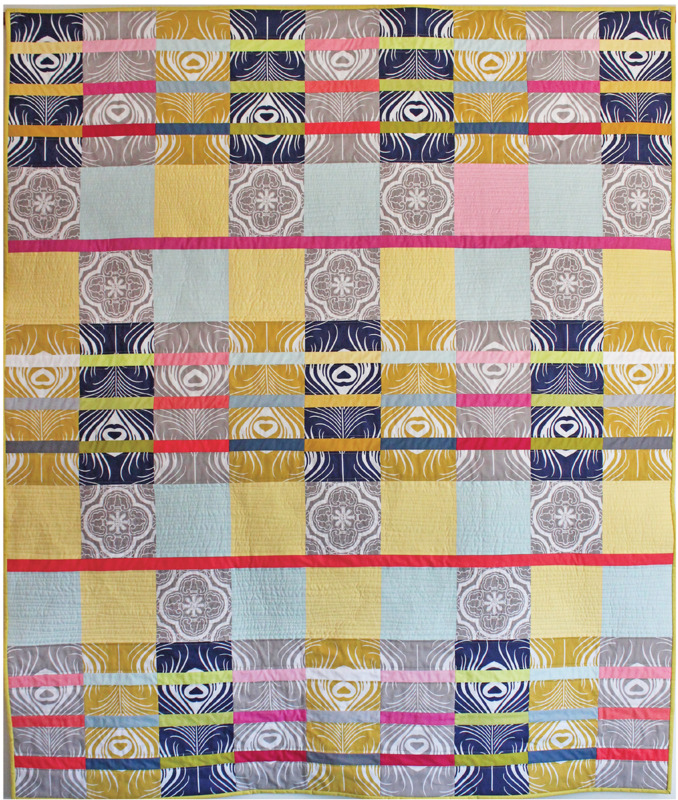 I finished this quilt the day she was greeted by her host family in Germany." 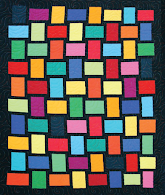 Karlyn's spectacular work is machine pieced, appliqued, and quilted, felted, and overlaid. 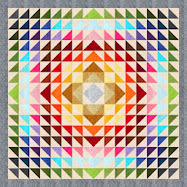 The lovely warm colors really create a glowing effect for this contemporary quilt. 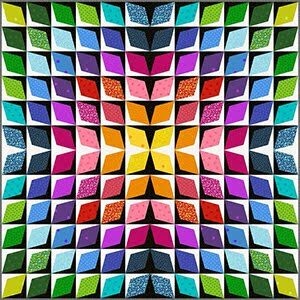 Image credits: Photos were taken by Quilt Inspiration at the Houston International Quilt Festival (2017). Happy Valentine's Day 2019! We love this holiday, dedicated to friendship, love, and romance. 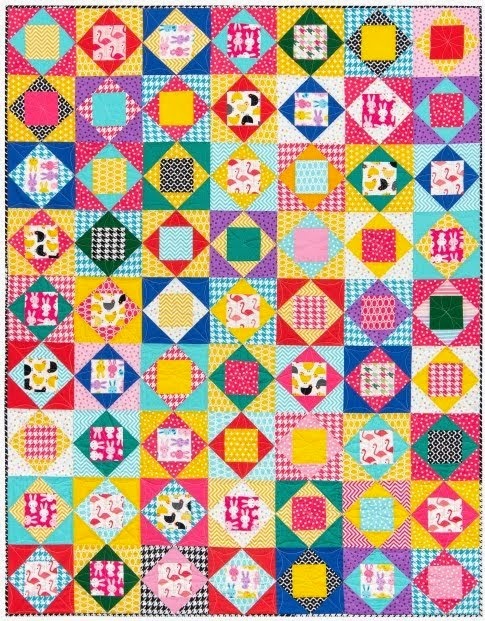 Join us as we take a look at some of these red and white quilts which celebrate such a fun time of the year! p.s. 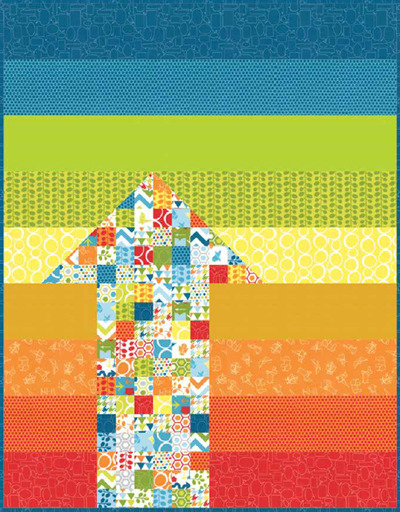 Check out our E-Bay shop for great deals on quilt patterns, fabric, and books ! 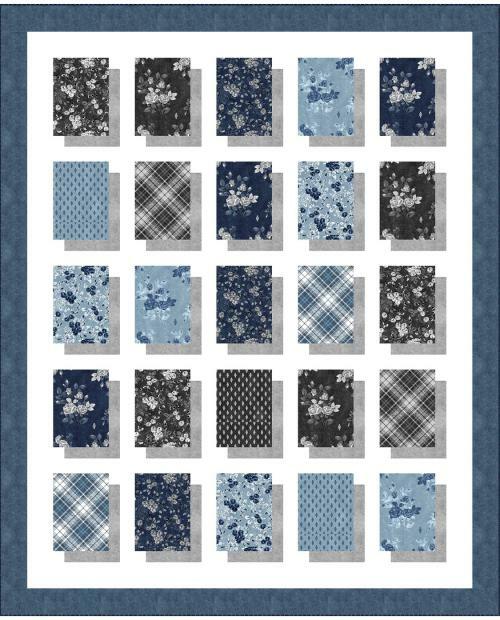 For continuous free quilt patterns, please visit us on Twitter ! 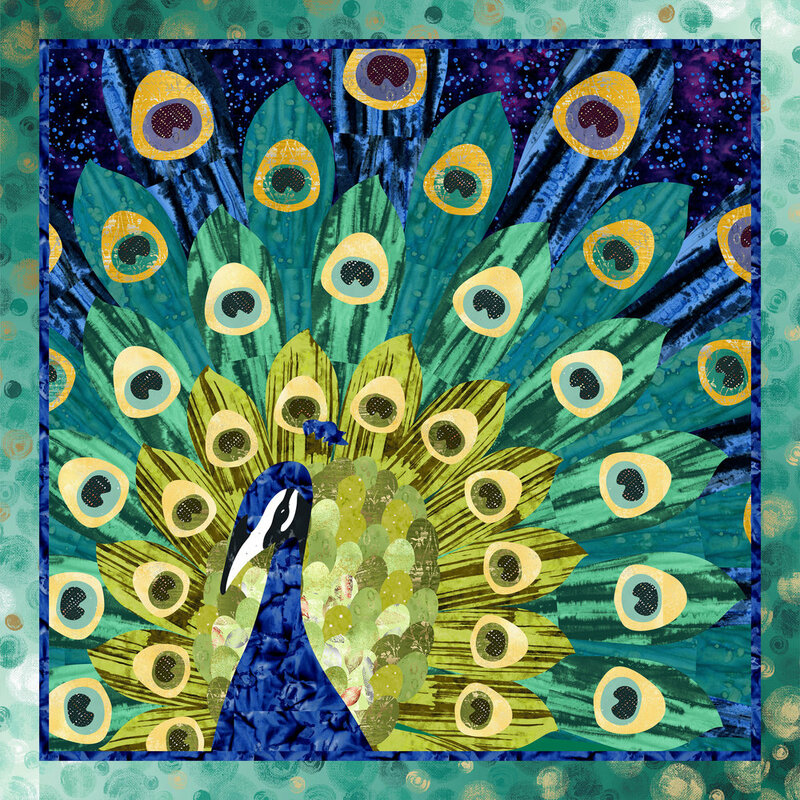 Honorable Mention winner Marjorie notes, "I love the Zentangle drawings, but I am not a doodler. This is my version of doodling with fabric. 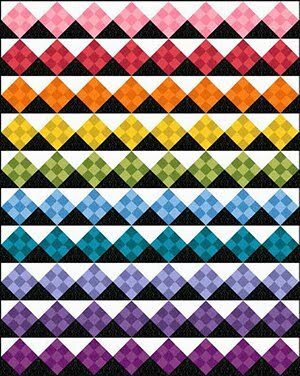 The idea of only using two colors to make an applique quilt inspired me to do this design for the Arizona Quilters Guild theme challenge." (40th anniversary Ruby Extravaganza). 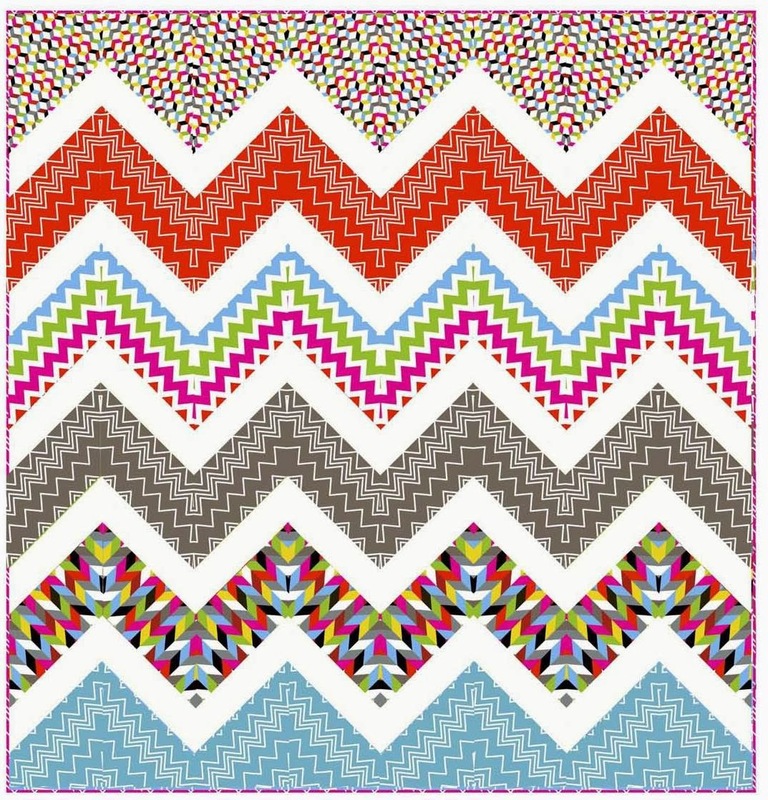 We really like how nicely these red and white fabrics go together ! They are all the same shade of red, but there's so much variety in the type of prints displayed here. 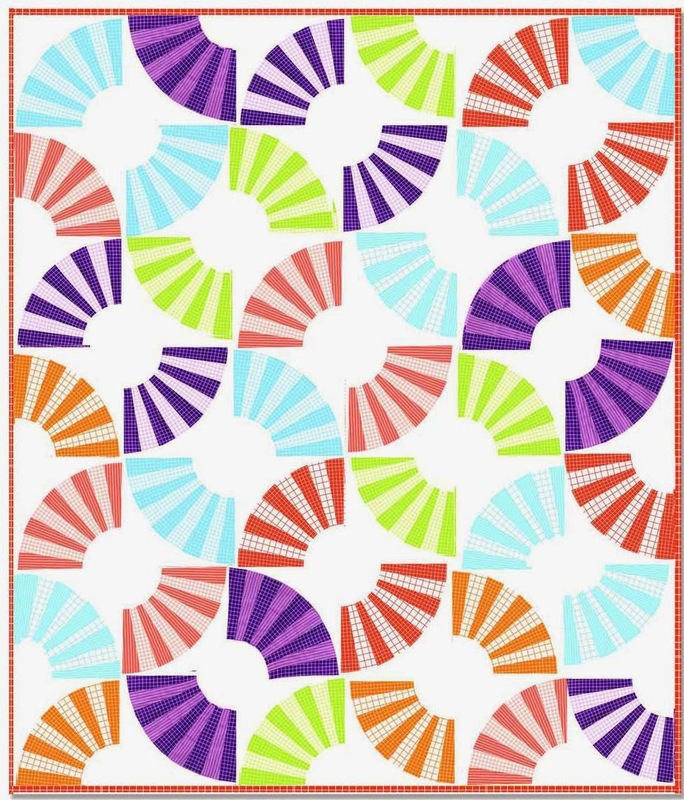 What a fun, lively project. 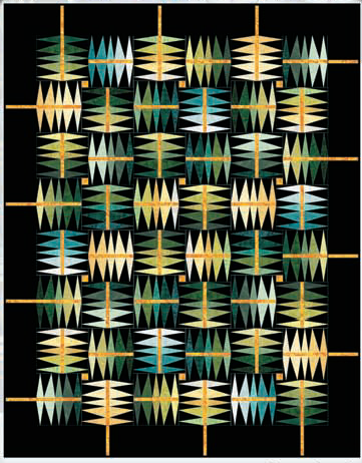 Shirley states, "[This is a] published design by Jill Finley. 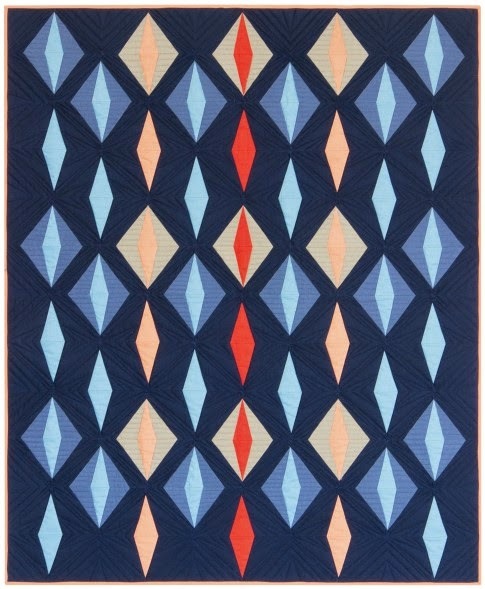 As my first-ever log cabin quilt, Jill Finley's 'Red Licorice' design is spot on for me; it's modernly old fashioned." 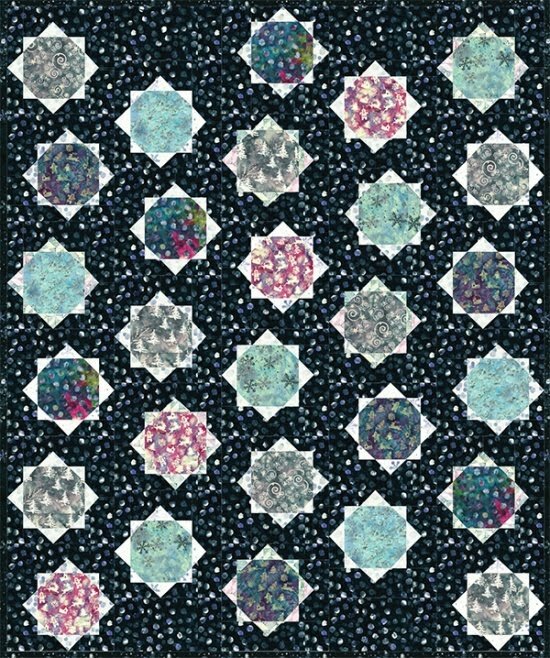 Shirley quilted this lovely work herself. 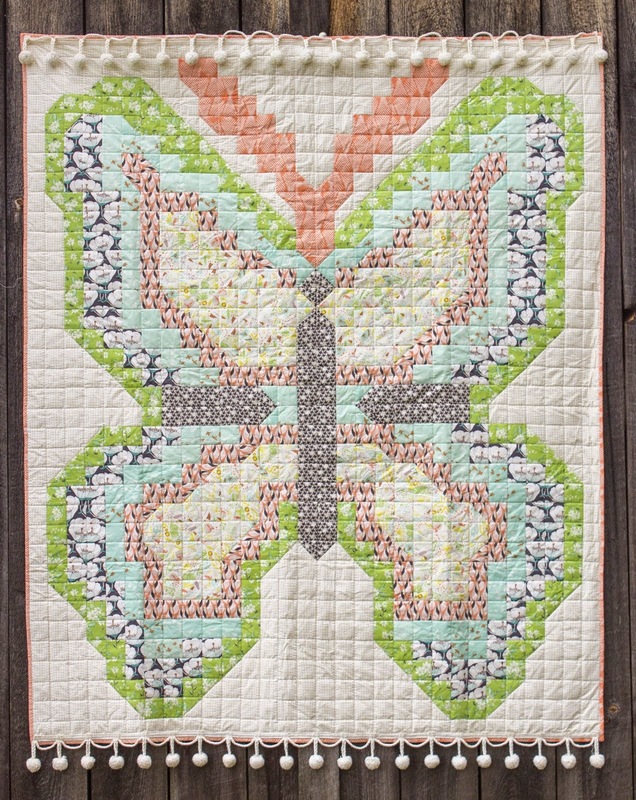 She did a wonderful, precise job with both the applique and patchwork motifs. 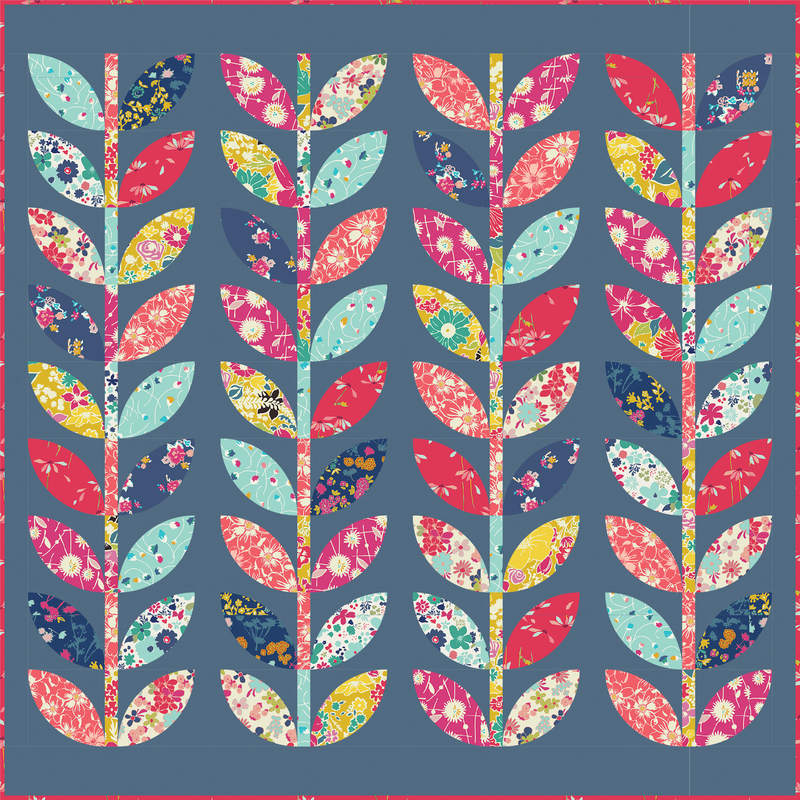 Jan explains, "[The redwork embroidery] was a design from Bird Brain Designs. I embroidered the redwork hearts by hand from the "Hearts and Flowers" pattern. 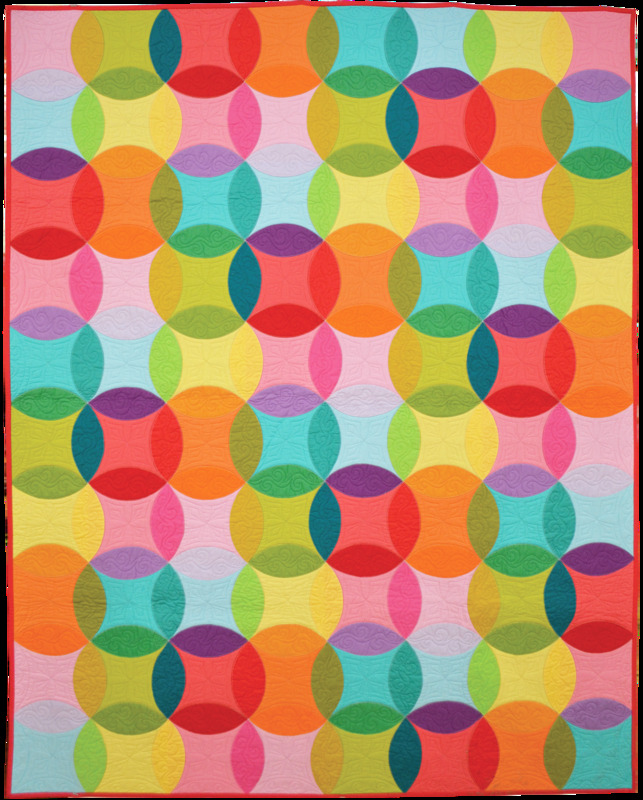 I chose a simple nine patch setting to highlight the redwork." 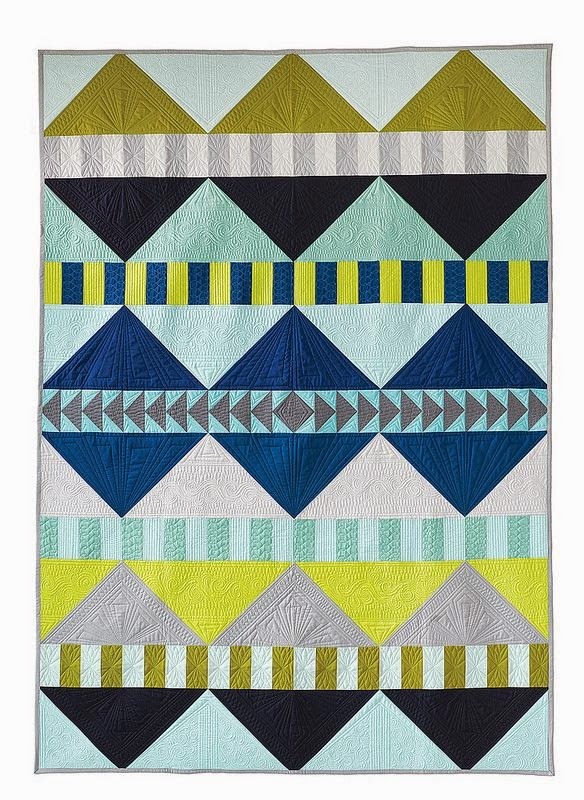 Jan adds, "This quilt combines my two favorite things..quilting and embroidery." This intricate redwork is beautifully done and stands out so well against the white background. 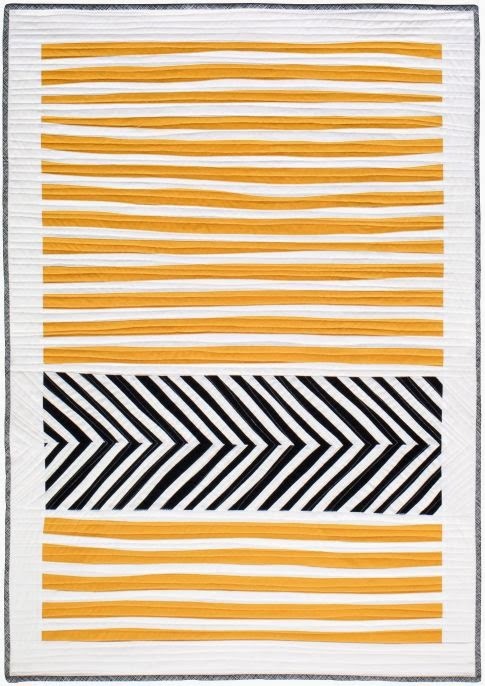 Margaret says of her original design, "Simplicity. Elegance. Redemption. 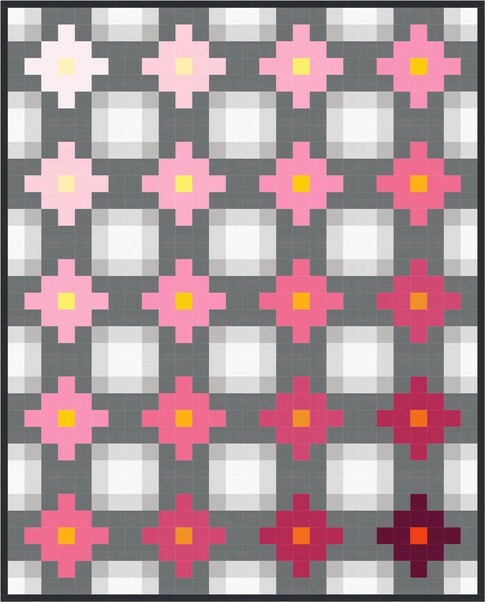 A dance of positive and negative space in red and white. 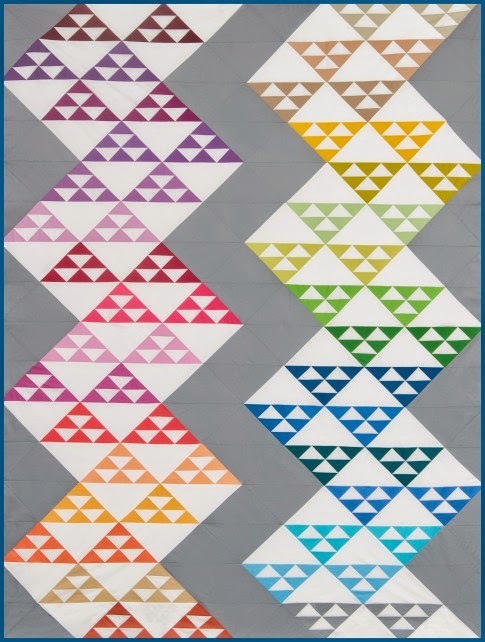 I love the exciting simplicity of two color quilts. 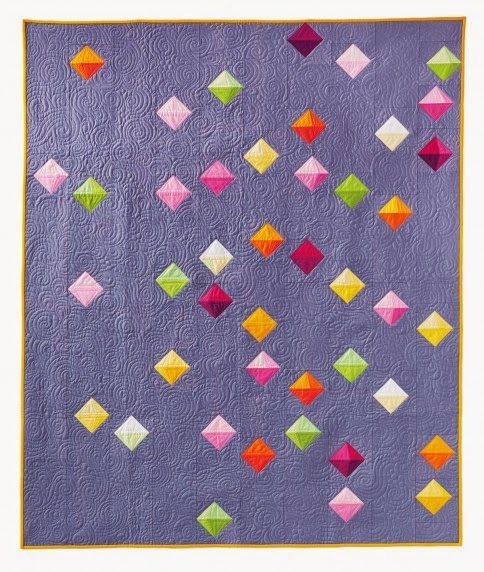 I love red, I love to applique and reverse applique by hand, and I love to hand quilt. " 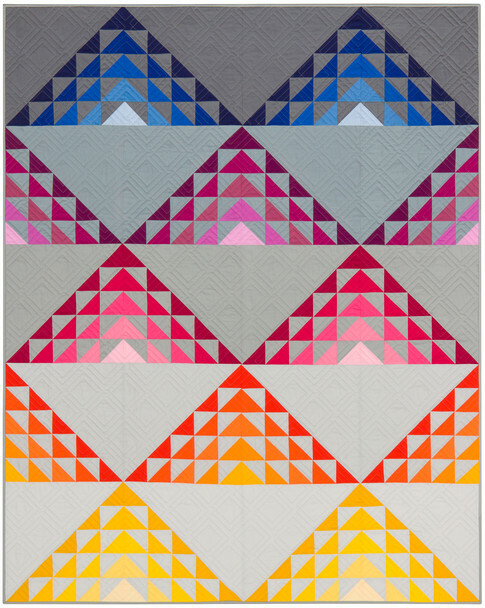 Margaret continues, "This original quilt design with 17 unique bursting blocks inspired by architecture of the Victorian Era, brings together all these loves, just for the fun of it." Here's a close-up, above, of Margaret's very painstaking work, done with elegant, tiny stitches. 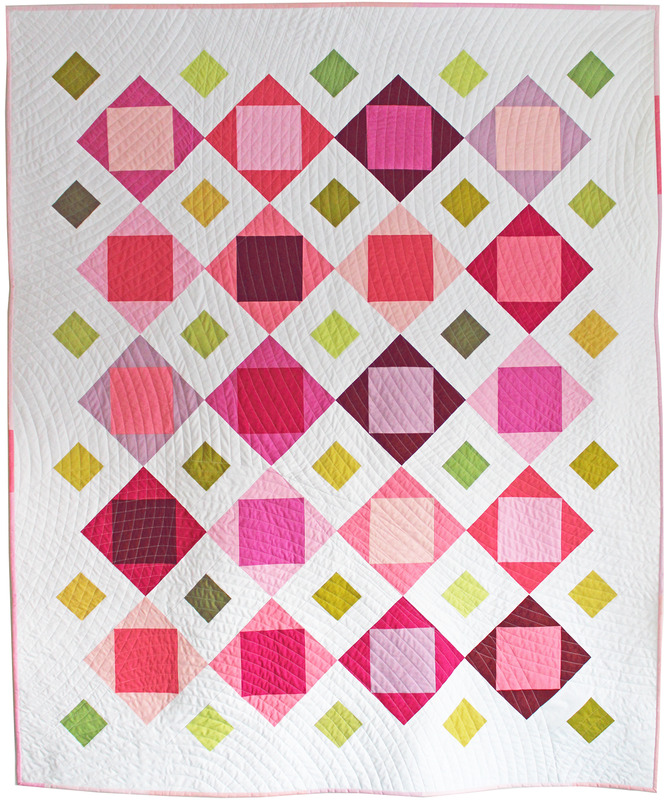 Kirsten remarks, "I love red and white quilts, and Red Regale is the latest one. 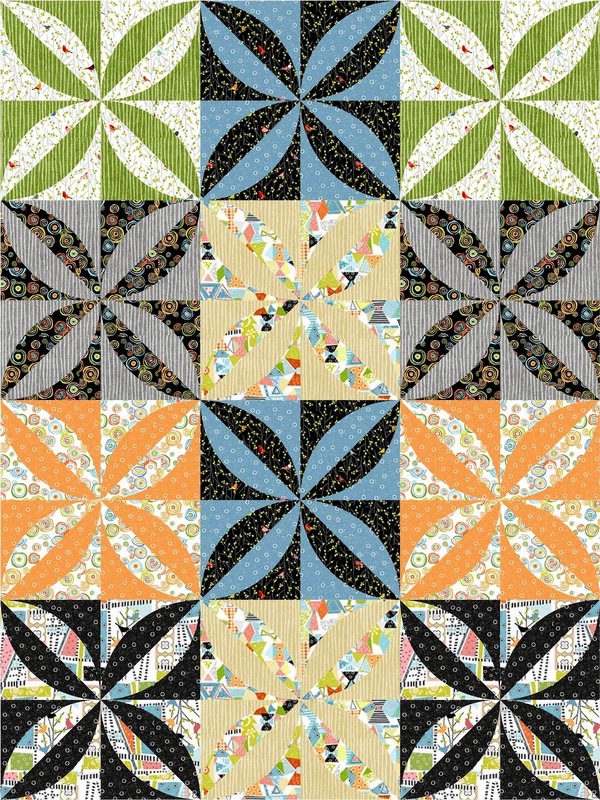 The block design was adapted from a block seen on Pinterest. 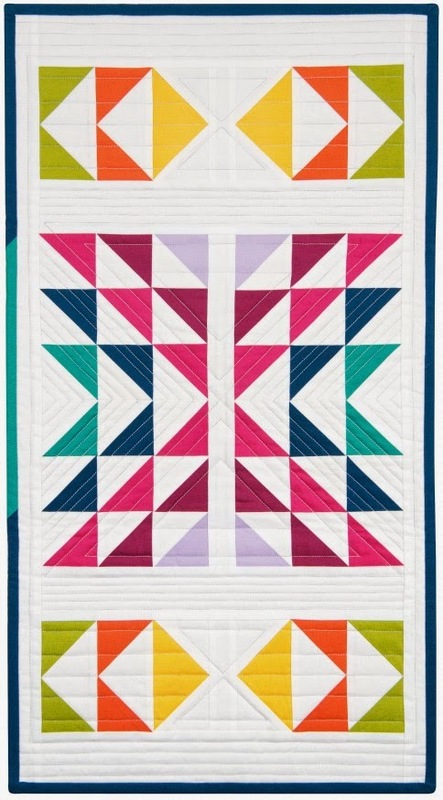 This was a new challenge for me to create my own quilt and then set it on point. 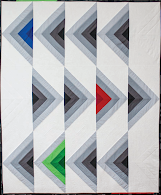 I left large neutral spaces for longarm quilting, which I did myself." 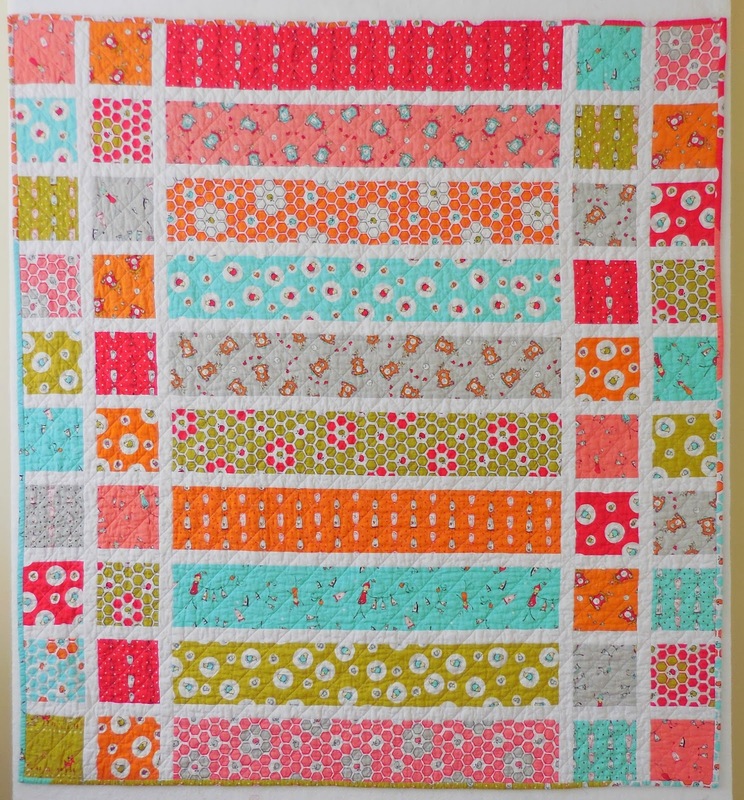 Kirsten concludes, "I can honestly say this is my quilt from start to finish. 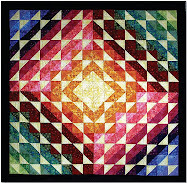 I love quilting; it fills me with content and happiness." 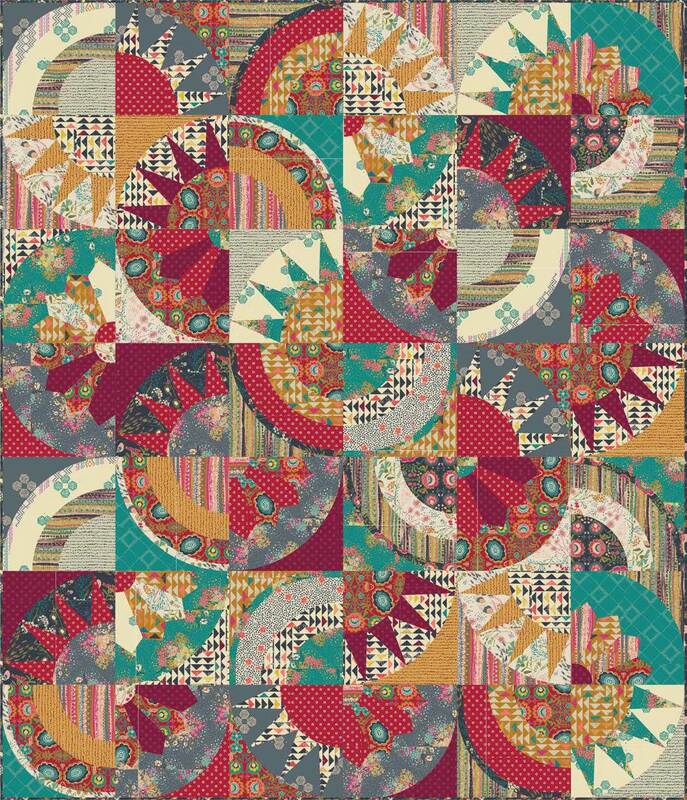 Both the patchwork and longarm quilting here are gorgeous. Kirsten has selected fabric that is a highly saturated, very substantial shade of red in order to give maximum contrast to the background. 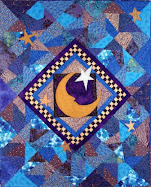 My Best Friends by Jo Ann Kilgroe, Arizona U.S.A.
JoAnn says, "[This is] an original design inspired by [quilt designer] Carol Doak, Possibilities, and Quilter's Cache. 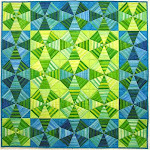 It's a fun sampler quilt, expressing what the Arizona Quilters' Guild and my quilting friends mean to me." Here are two quilting buddies who appear to be holding out their hands with strips and squares of fabric all ready for the sewing machine. 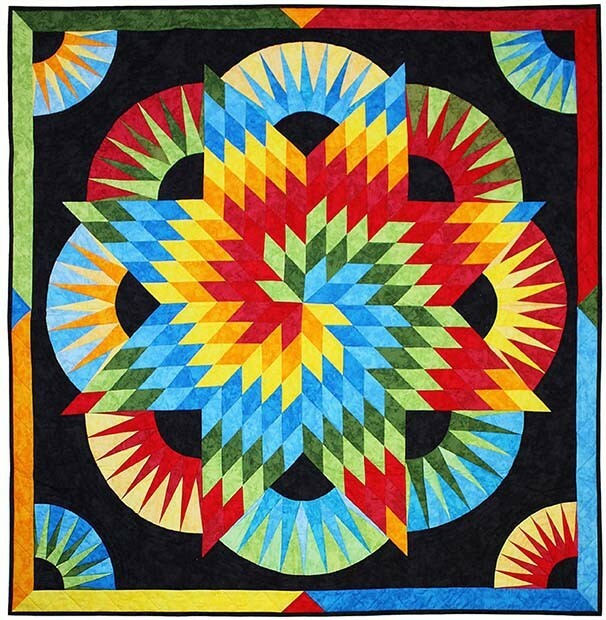 At the 2018 Quilt Arizona! show in Mesa, Arizona, the theme of the year was the Ruby Extravaganza. 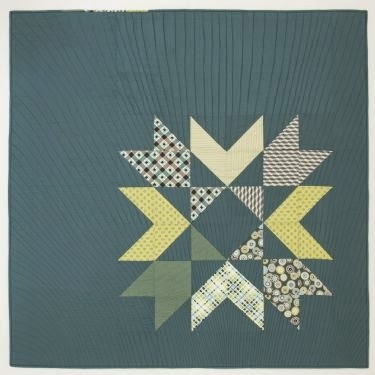 The guild celebrated its 40th year of by inviting its members to create quilts that showed the importance of quilting in their lives. Winner of an Honorable Mention Award, JoAnn did an excellent job of applique, especially in the tiny, fun details like the Valentine heart, the necklace, earrings, and the facial expressions on these two friends. They look very determined to get right down to work ! 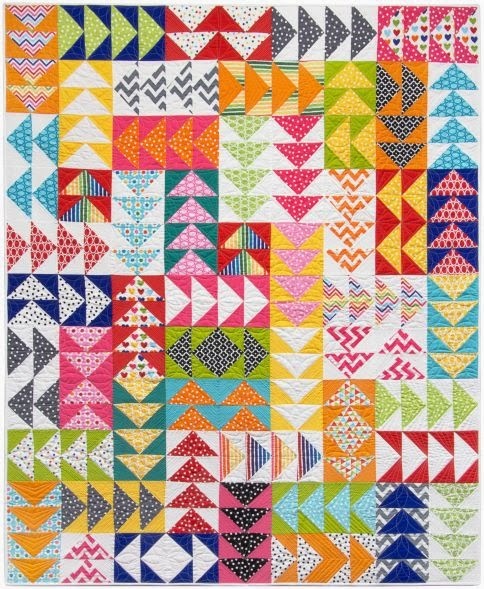 Guinevere explains about her original design, "[This is] a techniques sampler quilt. It's machine appliqued for the vintage hankie. 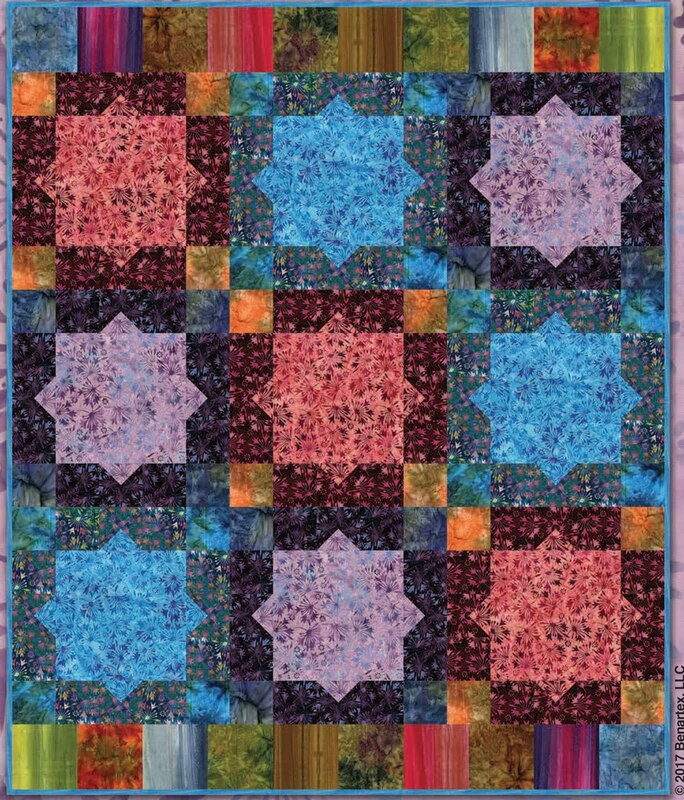 Sharon Schamber's trapunto technique was used for the quilted heart and her piping technique was used for the binding." 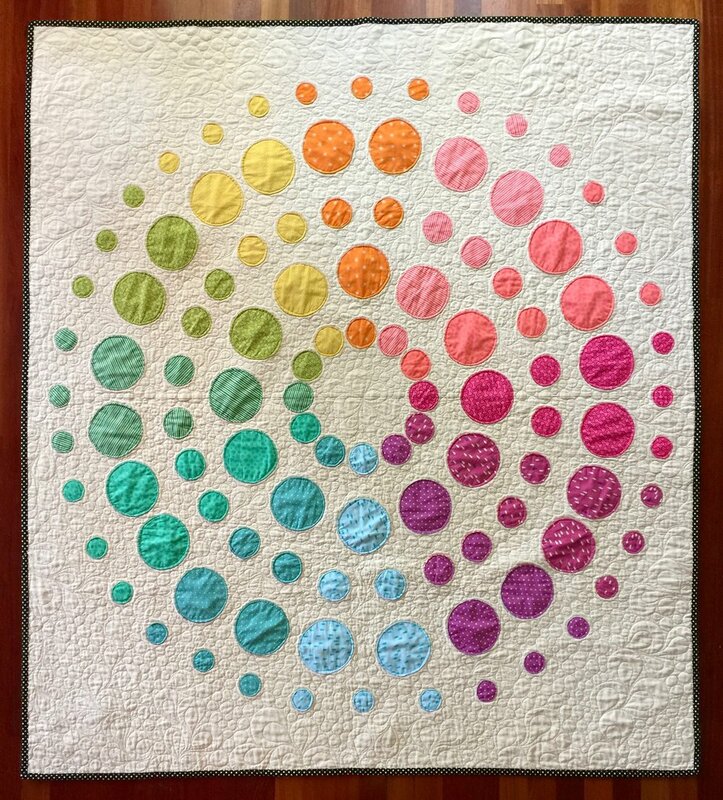 We love this incredible looped edgework, which is so perfectly done. Guinevere's exquisite work is both so delicate and so fluffy at the same time, that the two motifs provide a delightful juxtaposition. She won an Honorable Mention award for "Heirloom Heart." 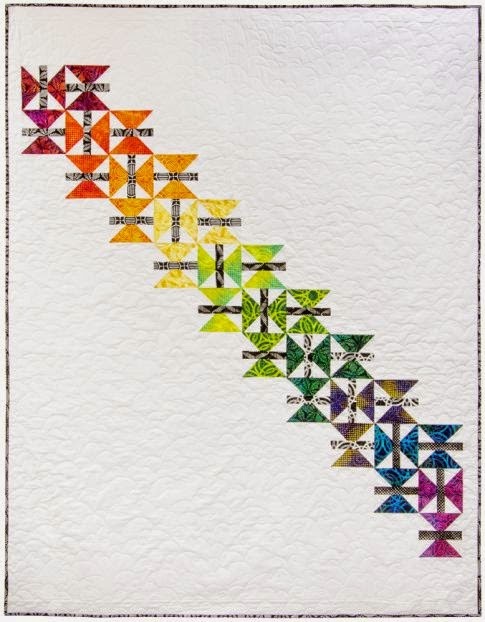 Linda notes, "My interpretation of the 40th anniversary of the Arizona Quilters Guild, the Ruby Extravaganza, incorporates the elements of life 40 years ago and includes the modern as well. Hankies were an integral part of the 1970's. " 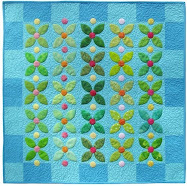 Elegant pearls, ribbons, and delicate embroidery embellishes Linda's work, full of dainty, brightly colored blossoms. Lauretta writes, "I am endlessly inspired by the works of art created by those who came before us. Master lace makers of the 1800's create elaborate yet delicate patterns using bobbins, needle, and thread. Here, fabric, needle and thread showcase detail of an exquisite Point de Gaze (a French phrase meaning 'gauze lace') handkerchief I photographed in Brussels, Belgium. Lauretta's fabulous work is made of cotton fabric, polyester net, tulle, cording, buttons, hand embroidery, and fabric paint. 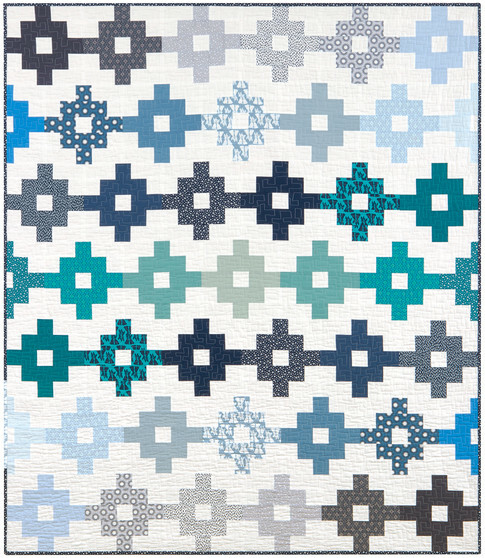 A 2018 blue ribbon winner at the Springville, Utah quilt show, Kim remarks, "This quilt was inspired by the Utah Valley Quilt Guild's red and white challenge. In Greek mythology, Amaryllis was a shy and timid nymph who fell in love with a handsome, but cold-hearted shepherd, Alteo. All he wanted was a unique flower that had never existed before. After thirty days and through her own blood, she created that flower and won his heart." 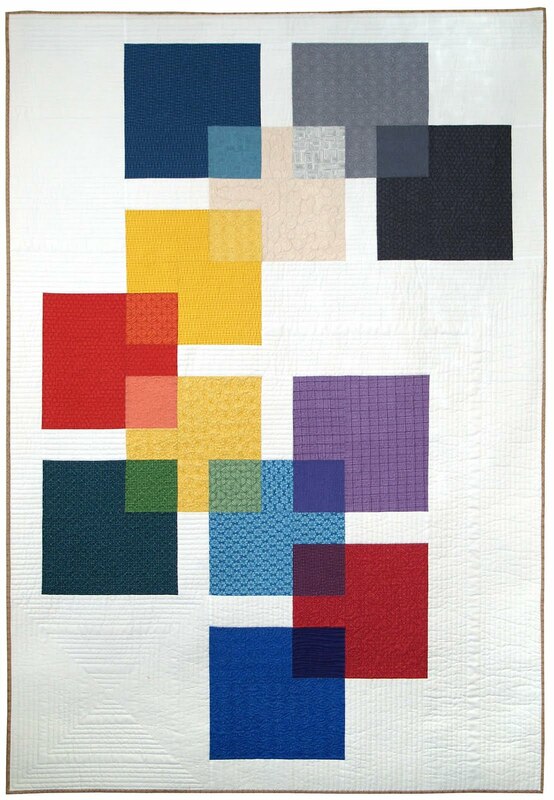 Kim adds, "The flowering of this late-blooming quilt came as a result of patience and a few drops of my own blood, as I'm sure every hand-made quilt does." 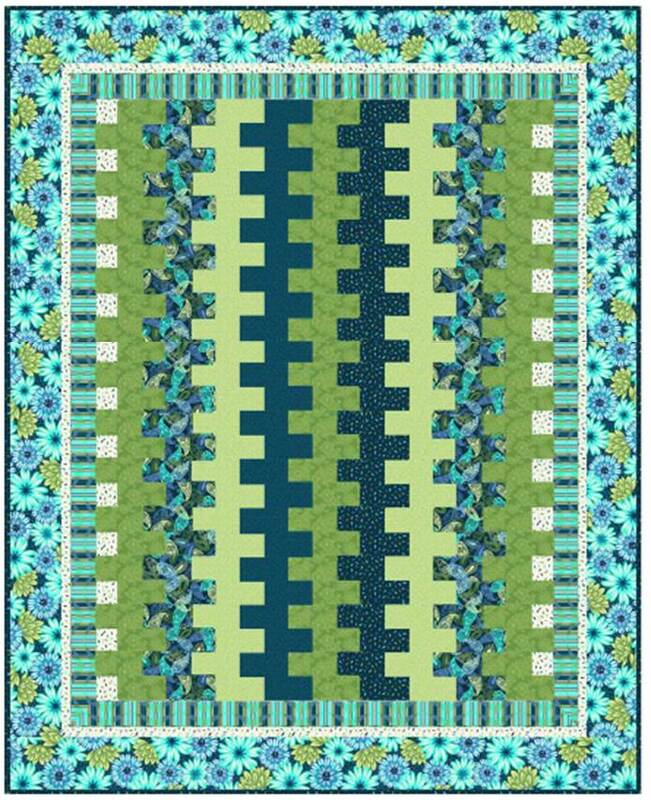 The Carolina lily block pattern spectacular here, enhanced by the strong geometric motif around the outer border. We really admire Kim's workmanship on what seems to us very likely to be a treasured heirloom. 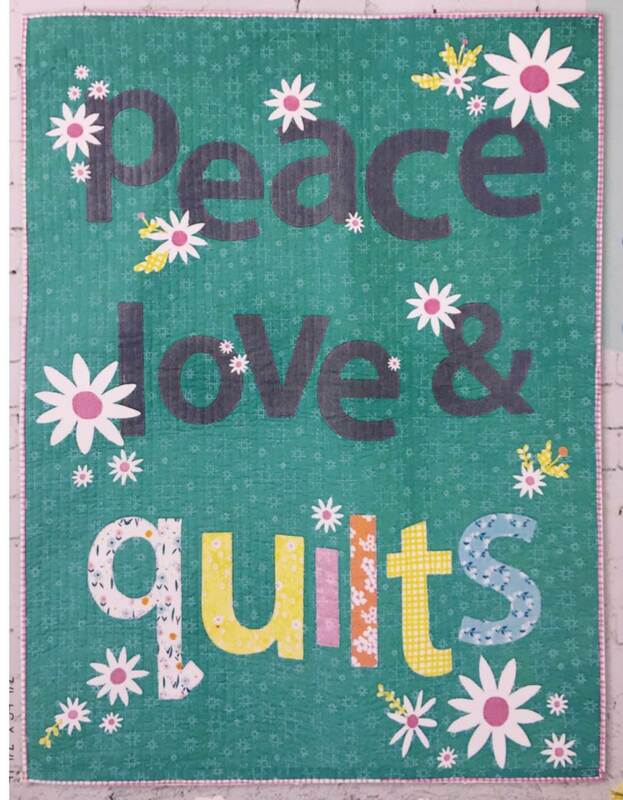 Image credits: Photos were taken by Quilt Inspiration at the 2018 Quilt Arizona show (My Best Friends, Poppies and Posies, Heirloom Heart), the 2018 Road to California show (White Lace on Red Velvet), and the 2018 Springville Utah quilt show (Amaryllis Among the Stars).